The first investigation of mine that went to a federal trial involved a very large seizure of suspected drug money. The evidence was overwhelming and the prosecutor and I were surprised the defense was fighting the charge. At trial, the suspect was asked to give an explanation of why the money was concealed in carbon paper (a common tactic of smugglers). He explained that it was a tradition in his native country to protect money from rats. The audacity to put forth such an explanation in light of the evidence genuinely surprised me, even causing a slight chuckle. The suspect’s “rat theory” failed to reasonably explain the known facts and the jury found him guilty beyond a reasonable doubt. With regards to the post-resurrection appearances of Christ, could a skeptical “defense attorney” provide a plausible theory in arguing the disciples hallucinated a risen Christ? Let’s find out! In Paul’s first letter to the Corinthians, he gives us a list of eyewitnesses who claimed to have seen the risen Christ. The hallucination theory has to account for the fact that on multiple occasions Jesus appeared to more than one individual at a time, including the disciples collectively and 500 people at once. Gary Habermas, a leading scholar on the resurrection, explains based on a conversation with clinical psychologist Gary R. Collins, that hallucinations are subjective, individual experiences, and evidence does not exists a group of people are going to hallucinate the same. Sharing a hallucination, since it is a perception occurring inside our brains with no external stimuli, would be the same as two people having the exact same dream. Michael Goulder, an atheist religious scholar, argues against such a conclusion and claims “We have many instances of this kind of experiences – large groups of people who have seen the statue of Mary at Knock moving, or UFOs, or experiments with groups where expectation affects perception in ways that can be repeated.” Keith Parsons, another atheist scholar, adds “Mass hallucinations and [sic] are extremely well-documented phenomena.” He calls witnesses of moving statues or weeping icons as “easily persuaded” and notes that positive peer pressure can “easily account” for their claims. However, declaring a statute moving or weeping, UFO sightings and Bigfoot, as evidence for group hallucinations is misleading. In a hallucination, whatever the person claims to see is not actually there. In the case of a moving statue, the statue is real. This is categorized as an illusion which is defined as “…a misrepresentation of a ‘real’ sensory stimulus….” Someone claiming to have seen a UFO may have likely seen something in the night sky (a satellite, asteroid, missile, etc. ), and Bigfoot sightings may have something behind the rustling of the leaves or unidentified footprints. It is not a questions if they saw something, it is a perception and judgement issue. Goulder’s argument does not include that the disciples saw a person, or an object, that they then thought was Jesus. The claims of the disciples were not of a passing glance of Jesus, or something or someone they occasionally saw in the shadows. Their claims are personal, physical, and multiple interactions with Jesus, not a characteristic of illusions or hallucinations. Parsons’s attempt at giving additional evidence for mass hallucinations is stronger than Goulder’s, but still falls short. Parsons also cites the “manifestations of the Virgin Mary at Fatima, Portugal, were witnessed by thousands.” This occurred in 1917 when three children claimed to have been visited by Mary six times cumulating in approximately 70,000 people gathering to witness her claimed final appearance. Parsons gives another example about a woman in Georgia who claimed regular visits from Mary and tens of thousands would gather monthly to hear her revelations. The monthly gatherers claimed to have witnessed the sun “spinning and dancing” in the sky. He goes on to argue that the circumstances that lead to mass hallucinations are well known and writes “Groups of people eagerly anticipating a miracle will likely see one.” The argument is that Peter may have hallucinated and then convinced others they had also seen the risen Christ. In other words, it was a combination of Peter’s grief caused hallucination and expectations of his naïve followers which led to mass hallucinations. But Parsons’ arguments fall short for three reasons. First, the examples he gives are not in the same category as the experiences of those who witnessed the risen Christ. There are no reports that the 70,000 in Fatima saw the Virgin Mary, only that they claimed to have seen anomalies with the sun. And the same is for the woman in Georgia; only she had seen the Virgin Mary and the others spoke of anomalies with the sun. There remains no evidence of diverse witnesses, over multiple occasions, and in front of many people, seeing the Virgin Mary. Second, both those examples weigh heavily on expectations. 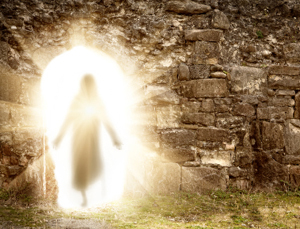 The Jewish people at the time of the resurrection would not have been expecting a risen Christ as it would have been counter to Jewish teaching and culture. Finally, Parsons’ examples are similar to Goulder’s in that they are describing possible illusions (anomalies with the sun) and not hallucinations. There does not exist any evidence or claims the disciples saw any type of illusion. While the question remains what, if anything, the three girls in Fatima or the woman in Georgia saw or witnessed, their experiences and those of the people gathered around them do not support a claim mass hallucinations are possible. However, for the hallucination theory to remain an option, then not only must a psychological explanation be accredited to one of the witnesses, but to all of them. Consider the problems with attempting to one; asses the psychological state of an ancient figure, two; claim that assessment is then the cause of a hallucination, and three; the hallucination spread like a virus. Each of those steps are filled with troubles on their own, and yet for Parsons’s, Gouder’s, and Lüdemann’s arguments against the diversity and number of witnesses, they all must work together. Addressing issue number one, Craig says “Psychoanalysis is notoriously difficult even with a patient seated in front of oneself on the couch, but it is virtually impossible with historical figures.” How do we know Peter suffered such guilt? How about evidence Paul felt guilty for persecuting Christians? Was James suffering grief to cause a hallucination? The proponents of the hallucination theory have only speculation to answer such questions. On the second issue, even if a historical analysis was possible which spoke accurately of the witnesses’ mindsets, why would we then assume hallucinations? I would not argue against the study and its conclusion which Parsons cites regarding grieving people experiencing hallucinations of loved ones. But I would oppose its use to support the hallucination theory. Of course a grieving widow may hear the voice of their spouse or similar experiences, some of us may know of people who have claimed such experiences, as I do. But, I do not know of any who then make the claim that their deceased spouse is alive and this study (or any others) does not make such a claim either. Regarding the third issue, I have already demonstrated that hallucinations are not collective experiences and do not spread among individuals. In most investigations I have conducted, there exists either a piece of evidence or a collection of facts which is referred to as the “smoking gun.” Usually it is a fact that seems irrefutable and for which the suspect cannot provide a plausible explanation for in light of their defense. For skeptics and supporters of the hallucination theory, the smoking gun is the empty tomb. Their theory offers an alternative explanation regarding the claims of the disciples and the conversion of Paul and James, but it cannot speak to the empty tomb. The evidence for an empty tomb is strong. Michael Licona notes “Gary Habermas discovered that approximately 75 percent of scholars on the subject accept the empty tomb as historical fact.” And that is not all Christian scholars, but atheistic and agnostic scholars as well. Parsons tackles the problem of the empty tomb by suggesting the burial accounts in the Gospels are simply legend and notes Lüdemann agrees. Their support for the legend claim centers on what Parsons says are the “increasingly positive tones” of the burial account in the Gospels as well as a late dating of when the Gospels were written, citing 90 A.D. for the Gospel of Mark. However, the Gospel accounts were not written as late as Parsons suggests. Mark is considered to have been written before Luke, which pre-dates Acts. What is missing from the Gospels and Acts are significant events which would have been mentioned had the documents been written after those events. These events include the death of Paul in or around 64 A.D., the destruction of the temple in 70 A.D. and the death of James. Additionally, sections of Mark were among the Dead Sea Scrolls, so a more accurate dating of Mark is 50 – 60 A.D. Therefore, there was not enough time to develop as legend. C.S. Lewis, an expert on medieval legends, also argues the Gospel accounts do not contain any characteristics of legends. The hallucination theory, besides having to be a plausible theory on its own, which I have shown it is not, must rely on another separate unlikely theory to account for the empty tomb. The family of the suspect was at the trial I mentioned at the beginning and were obviously upset to see their loved one in that situation. They could not accept that their family member was guilty, even in face of the overwhelming evidence presented first hand. Their commitment outweighed reasonableness. For the supporters of the hallucination theory, we see the same issue at play. Except instead of a family commitment that is blinding them from the truth, it is a philosophical commitment toward naturalism which excludes the possibility of miracles. Goulder testifies to this when speaking of the hallucination theory and writes “…even if speculative, a natural explanation is preferred.” The evidence in support of the physical resurrection is strong and the hallucination theory fails in both explanatory scope and power to say otherwise. Gary R Habermas and Michael R Licona, The Case for the Resurrection of Jesus (Grand Rapids, MI: Kregel Publications, 2004), 106. Michael Goulder, “The Baseless Fabric of a Vision,” in Resurrection Reconsidered, ed. Gavin D’Costa (London, England, Oneworld Publications, 1996), 53. Keith Parons, “Peter Kreeft and Ronal Tacelli on The Hallucination Theory,” in The Empty Tomb, ed. Robert M. Price and Jeffery Jay Lowder (Amherst, NY: Prometheus Books, 2005), Loc 6065 Kindle. Price, The Empty Tomb, Loc 6074 Kindle. As defined in The Encyclopedia Britannica online at http://www.britannica.com, accessed September 9, 2016. Price, The Empty Tomb Loc 6065 Kindle. Catholic News Agency, Our Lady of Fatima, accessed September 6, 2016, http://www.catholicnewsagency.com/saint.php?n=485. Price, The Empty Tomb, Loc 6069 Kindle. William Lane Craig, On Guard: Defending Your Faith with Reason and Precision (Colorado Springs, CO: David C Cook, 2010), 255. Gary R Habermas and Michael R Licona, The Case for the Resurrection of Jesus (Grand Rapids, MI: Kregel Publications, 2004), 109. William Lane Craig, On Guard: Defending Your Faith with Reason and Precision (Colorado Springs, CO: David C Cook, 2010), 256. Price, The Empty Tomb, Loc 6134 Kindle. Price, The Empty Tomb, Loc 6138 Kindle. Habermas and Licona, The Case for the Resurrection of Jesus, 70. Price, The Empty Tomb, Loc 6065 Kindle. Norman L. Geisler and Frank Turek, “I Don’t Have Enough Faith to Be an Atheist” (Wheaton, IL: Crossway, 2004), 235-243.